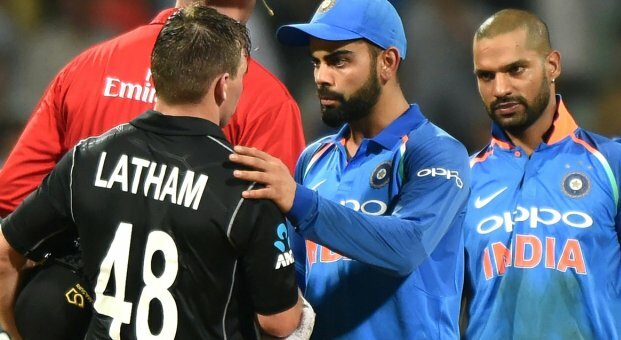 Chasing 281 runs for win, Tom Latham (103*) and senior pro Ross Taylor (95) run helps New Zealand to beat India by six wickets at Wankhede Stadium in Mumbai on Sunday. After opting to bat first, India rode on Virat Kohli’s 31st ODI hundred to post 280. None of the other Indian batsmen even crossed 50-run mark. Despite the challenging conditions, Kiwis managed to overcome and won first of the three ODIs setting up the series nicely. New Zealand is now leads the three-match series 1-0.